Galatasaray has been closely linked with a move for Leicester City star striker Ahmed Musa this summer. The Nigeria international joined Leicester back in 2016 from CSKA Moscow but has failed to make an impact in the Premier League. Musa ended up rejoining CSKA on loan in January but will return to the Foxes this summer. According to the Turkish outlet Fotomac, Galatasaray are currently in talks with Leicester City but have so far been unable to strike a deal. The Lions want to sign Musa on a season-long loan with an option to but included. However, the report goes onto state that Galatasaray are set to face competition from Ligue 1 giants Marseille. Per the source, Marseille have also held talks with both Leicester and the star striker’s agent William D’Avila. 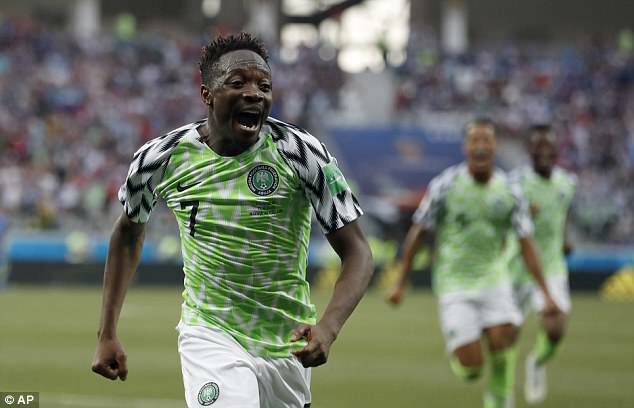 Musa scored eight goals in 22 games during his loan spell with Russia giants CSKA Moscow. The 25-year-old scored against Iceland in the 2018 World Cup last week but his side were eliminated from the competition following a 2-1 defeat to Argentina.